The rain season, when spring is happening! The one big thing happened to me today, you know? Today is one of the traditional 24 solar terms in the rain, all say "good rain season, when spring is happening", foshan sunny today, but it was a big things happened, you know? Today in the family of shower room, there is a new public number was born! That's what we -- katine said he shower room! 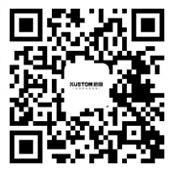 KUSTOM, derived from coustom: take the customer as the center, customized. In the quickening pace of life today, shower space as the washing of body and mind, relax the mind of the place and cherished. KUSTOM katine said he insisted on the core of human experience, innovation and environmental protection technology, high-tech production methods, combined with the designers to create a new standard of visual sense of touch, let users to have better control of water, the experience of water. Katine said he invited well-known designers custom design center, from experience, the ongoing technological innovation, to create a more comfortable shower space, experience with pioneer spirit and sensibility, changing the colorful design style. My idea: build generations share shower space. KUSTOM katine said he insisted on for quality, starting from the rigid material: using auto level full toughened glass, aluminum, magnesium, titanium alloy, mirror grade 304 stainless steel quality raw materials such as seiko manufacturing, and in strict accordance with the European standard for impact test, aging test, airtight detection testing, life testing, etc. High quality material is the foundation of building high quality shower room, for the high standard process requirements, is the key link to build high quality shower room. Katine said he people by high-tech and inheriting experience, strict implementation of process control, quality inspection, refuse all bad product into the market. Because only every detail into perfection, can produce great works. Welcome attention katine said he shower room, KUSTOM katine said he will bring you more. Previous：Katine said he shower room series list price gains "TaoWei industry product gold award"